Prominent & Leading Manufacturer from Nashik, we offer analogue proximity switches dia m18 and capacitive switches dia m 30. We are remarkable entity, engaged in offering superior quality Analogue Proximity Switches Dia M18. The offered proximity switch is demanded for detecting slight change in capacitance of a remote sensing plate. 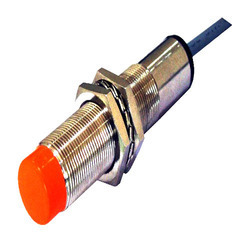 Our proximity switch is inspected on several parameters in order to deliver defect free range. 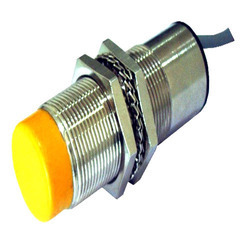 Additionally, this proximity switch is accessible in various specifications as per precise requirement of clients at reasonable prices. Backed by the rich industry experience and knowledge, we are offering an excellent range of Capacitive Switches Dia M 30. This switch is developed in sync with the standards of industry by our highly qualified professionals using optimum quality raw material. The offered switch is used when a higher sensing distance is desired. Our valuable customers can avail this switch in bulk quantity at competitive rates from us. non Flush type and it has range adjustment pot.